Despite being involved in the No7 Match Made Campaign earlier this year and using No7 Make Up and Skincare for years I had never actually tried one of their lipsticks. For shame! 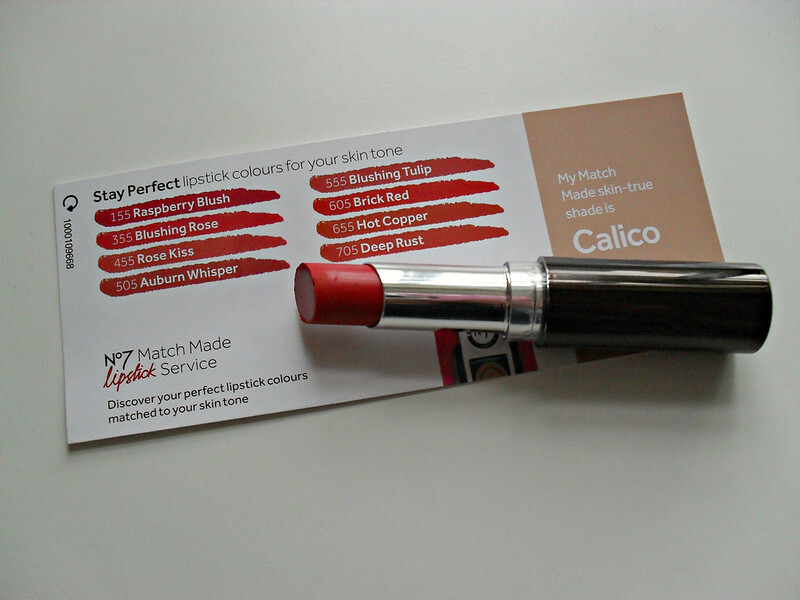 When I heard about the Match Made Lipstick Service I was intrigued as to how it worked and decided to drop by my local counter to talk to one of the No7 ladies about it. It just so happened that I got my lipstick match from the lovely Jane who I worked with when I did press for the campaign. I already knew my foundation shade which is Calico, so the next step was to choose what kind of colour family and finish I wanted. As you can see above and below there are cards with the name of each foundation shade on it and on each side of the card are the options for your skin tone from the Moisture Drench and Stay Perfect Lipstick ranges. The Stay Perfect formula promises intense, long lasting colour with a matte and satin/ semi-satin finish. The Moisture Drench formula as you can imagine from the name offers a moisturising lipstick with intense colour, SPF and a satin/ semi-satin finish. I usually want my lipstick to be long lasting because I don't really get a chance to reapply it when I'm in work so I asked Jane to recommend something from the shades in the Stay Perfect formula. I've never had someone else pick out a lipstick for me as I usually like to do it myself as I know what I like and what suits me but I was thrilled with Jane's choice of Brick Red. The formula wasn't what I expected at all considering that this is a long lasting lipstick. It has a smooth and creamy texture that glides onto the lips with ease. Generally the nature of a long lasting lipstick formula is that it is more drying than other lipsticks so I was pleasantly surprised that this wasn't the case with this lipstick. It packs quite a punch as far as pigmentation is concerned, the colour is a beautiful, vibrant red verging on the more yellow toned of reds. 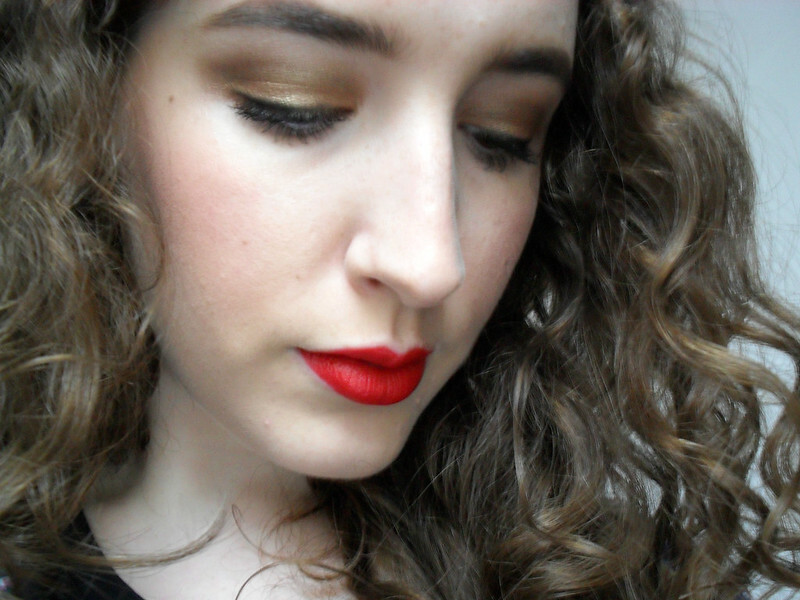 For such a creamy textured lipstick I was incredibly impressed with the staying power. It doesn't feather, bleed or budge from my lips all day. 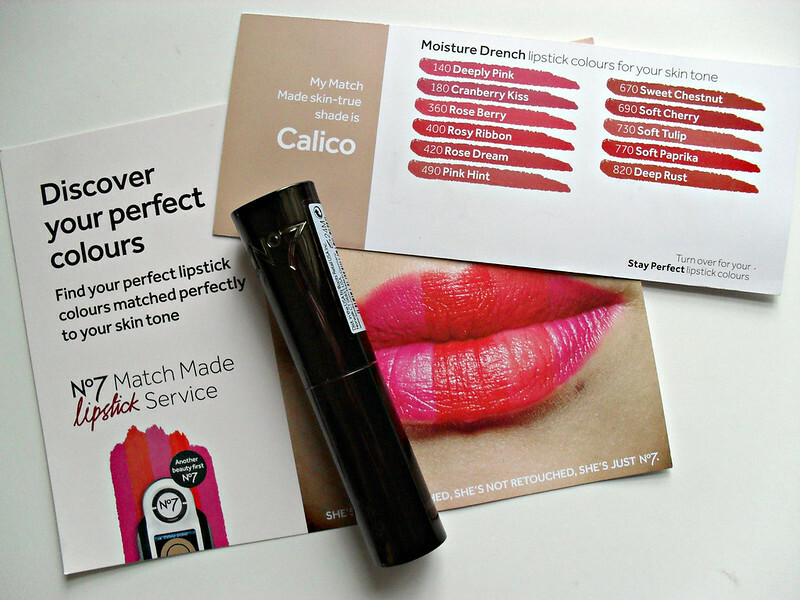 I found the Match Made Lipstick Service experience wonderful and although I wouldn't usually talk to an advisor before choosing a lipstick shade, it was actually nice to have another opinion on what shade would suit me. Being such a huge fan of lipsticks I've had numerous conversations with my friends who say that they can't find a lipstick to suit them, especially when it comes to bright shades, particularly reds. I've heard women say that red lipstick doesn't suit them countless times and I always tell them that there is a red out there to suit everyone which is why a service like this is great. It's accessible and inexpensive and I've always found the advisors to be approachable and ready and willing to help their customers. I would recommend going to a counter at an off peak time so that you can spend some time with a No7 advisor to find what you're looking for. These lipsticks retail for €12.95 and can also be found on Boots.ie. 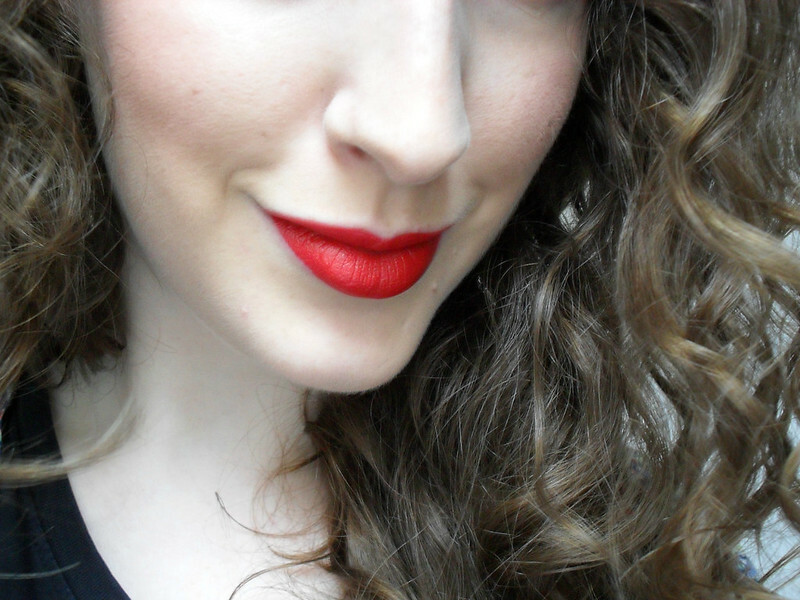 Do you have trouble finding lipsticks to suit your skin tone? Would you try this service? Love this colour, it really suits you! I have never thought about trying no7 lipsticks but they sound great!